By now most of us have heard of the horrendous massacre in Orlando. All I can think about is that the victims could have easily been people in my family, good friends or work colleagues. My heart goes out to everyone touched by this supreme and unnecessary tragedy. All I can think about is that this could have happened to one of family or friends. None of us are immune. In true quiltmaker fashion the Orlando Modern Quilt Guild has started a block and quilt drive to create quilts for the victims and families of the slain. They are collecting quilts and blocks. The idea is to make heart blocks in bright, rainbow colors to represent everyone affected (including YOU), and obviously represent the love we are sending them. Use the tutorial from Cluck Cluck Sew to make 10″ blocks in rainbow of bright colors, with a low volume background. The quilts should be no smaller than 5 blocks wide and 6 blocks long. You’re more than welcome to make them larger, they’d like to keep them at the very least lap sized. A lot of questions were brought up in the comments on the original Orlando MQG post. This is a big project and they are working through the details now, but most of the answers have been posted today, including what you can send (quilts, blocks, batting, money, binding strips, etc). Also keep an eye on that blog for more information. I am sure your patience will be appreciated. Julie is hosting a get together this weekend to make blocks and quilts. Contact Julie at the Intrepid Thread for more details. If you have any other questions, please email alissalapinsky [at] gmail [dot] com. She is the president of the Orlando MQG. Do something! Help in some small way- whatever works for you. This is a GREAT idea. Jackie over at Sewexcited Quilts has a tutorial for an I.C.E. pouch. I.C.E. stands for In Case of Emergency. I have a contact called this on my phone, but if my phone flies across the car in a crash, it doesn’t help. Jackie writes “Local emergency personnel want these in every household. On strollers, backpacks, bikes, seat belts, the list can go on and on. They said it is helpful in saving lives and people getting the proper help” in her post. She has printables included in the post, not only for the tutorial, but also for the form to include and the logo. The tutorial is also included in the post. This is a great idea for gifts! Kelby of One Hour Basket fame has a new pattern with 8 patterns included. I was pretty excited about these foundation piecing patterns from Tartan Kiwi except that they are foundation piecing. The seahorse is my favorite and I might just make that one even though it is foundation piecing. The Aurifil Thread Box and Sewing Caddy is the first sew4home tutorial after their partnership with Aurifil thread. The colors they used in the project are right up my alley and the bag is shaped more like a briefcase than a tote bag. It has some structure and that is also appealing to me. After some history of Aurifil and some information on their different weights of the different Aurifil threads Sew4Home provides a comprehensive tutorial with a lot of good pictures. I learned to use my Edgestitch foot, which I have never used from looking at the photos. I haven’t made one, but from looking at the photos, I think this is a comprehensive tutorial and I encourage you to let me know how yours comes out. There is a super cute popsicle mini-quilt pattern that I adore. It brings back good memories of the freezer in my granparents’ play room that I am sure was stuffed with popsicles. I saw it first on Twitter. Then I saw the actual pattern and realized it is from Fig Tree. You can buy it from them directly. I love the colors they use. Here’s the scoop on why Quilt Your Heart Out died. Lucky Spools has a new book out, The Quilt Blocks Cookbook. When I saw ‘cookbook’ I thought actual cooking with teaspoons and hot oil. I delved a little deeper and saw that it might be a block dictionary. I haven’t gotten my hands on a copy, but the guild might get a copy and I can take a look. I totally missed Amy bringing the Creative Mom podcast back. She has about 15 episodes waiting for your listening pleasure. I just downloaded them and started listening. The episode called Flip-through has a lot of interesting concepts and thought provoking ideas. I might try and get together with an art friend and do a flip-through. This might be a good idea for CQFA. 1. 50 favorite sewing books. Looking to build up your library? The internet is great and all, but I truly believe there’s no substitute for a well-written, specific book. These are my top choices (including some great vintage ones), and be sure to check out the comments for more ideas. 2. Seamwork Radio. We love to share sewing stories. Our podcast brings you personal stories about all the ways designing, making, and wearing your own clothing can alter your life. 3. How to maintain your sewing machine. We all forget that our little machines need love. Keep yours in good working order with some simple cleaning and maintenance. 4. The free Sorbetto pattern. If you haven’t tried this pattern yet, you can download it for free today. A simple basic that’s been wildly popular, this pattern has been downloaded hundreds of thousands of times. 5. Wardrobe Architect. This blog series covers a step-by-step process for constructing a wardrobe you actually want to wear – and that feels like you. It’s one of the most popular things we’ve ever published! 6. 6 apps to help you plan your sewing.These days, most of us likely bring a smart phone to the fabric store. Here’s how you can use your phone to stay inspired, capture ideas, and track your sewing goals. 7. How to install an invisible zipper (with video). Learning to do this can be life-changing for your sewing, so check out the complete photo tutorial with video to see how easy it is. 8. How to prevent DIY anxiety. Like author Annaliese Fidgeon notes, “DIY anxiety is not something that can be cured,” but be sure to bookmark this post for when you need a boost. 9. Sewalongs.com. This is where we offer free real-time sewalong classes using our patterns! You can browse past sewalongs, or sign up to hear about the next one we offer. It’s all totally free and lots of fun. 10. Coletterie by email. Don’t want to miss any of our discussions and tutorials? We update our blog 3 times a week with thought-provoking and useful articles. Click here and enter your email to get them all delivered to you. These link out to blog posts, of which I was not aware and was interested to read. You can sign up for the newsletter yourself at Get Snippets. Cheryl has written a great post about what she has learned from using sheets as quilt backs. She is very thorough in this post. Keep in mind that YMMV. Jackie has a series of blog posts about irons. Very interesting info! Victoria Findlay Wolfe has new Sizzix dies coming out. I don’t have a Sizzix (yet?? ), but still admire the designs. She is right that the parallelogram design would make a great teen/young adult quilt, but especially a boy quilt. Interesting and not girly (assuming you don’t use floral swirly pink fabric). I was thrilled to see Jill contribute a response to one of the last Creative Prompts. I adore her response, as I do most of her responses. In addition, I looked through her tag for “iPad doodles” and read more about the tools she uses, Tophatch Concepts app and the 53 stylus. I want them both and that means I need a new iPad. I have slowly been moving all of my mobile life to Samsung, but this app and the stylus are giving me pause. If you are thinking about doing the La Passacaglia quilt (and why wouldn’t you be thinking about it with a name like that??? ), Massdrop has the templates and papers again. Take a look at Wendy’s quilt, which she is now quilting. Yes, I am doing it. No, I haven’t really started. Johanna Bashford, the Secret Garden and Enchanted Forest coloring book queen will receive an Order of the British Empire award. She called Buckingham Palace, because she thought it was a prank. Amazing! 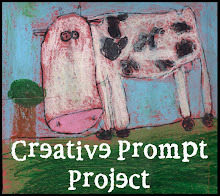 You can always dive into the Creative Prompt Project. Choose a prompt and go for it! Iowa Quilt Museum Opens in Winterset. As you know Winterset, Iowa is the home of Marianne Fons. Lake County is a county north of me. Someone sent me an article about a new block added to a quilt trail up there. The article also talks about the history of the family on whose barn the quilt block has been installed. There is no additional information about the Lake County Quilt Trail, but a quick search found a site. Wow as always with tons of great links. 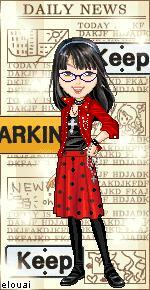 Thanks too for sharing about ICE Tutorial and my iron addiction. I am just now picking out fabric for my La Passacaglia. It’s never too late. I love the ICE idea. I want to make some of those ICE packs for my family. I wonder if my SIL could embroider the logo?